Dublin Pagan/Folk Metal band CRUACHAN have been doing the rounds and putting in the hard graft since the early 1990’s. Yet they’ve barely seen a whiff of mainstream coverage here in their native Ireland. So the band have to travel abroad into Europe and South America to get the appreciation that has unfairly eluded them for so long in their home country. Only the other day, Sunday 22nd Feb 2015, they headlined the ‘Cernunnos Pagan Fest VIII’ in Paris, alongside MOONSORROW and a host of support acts. 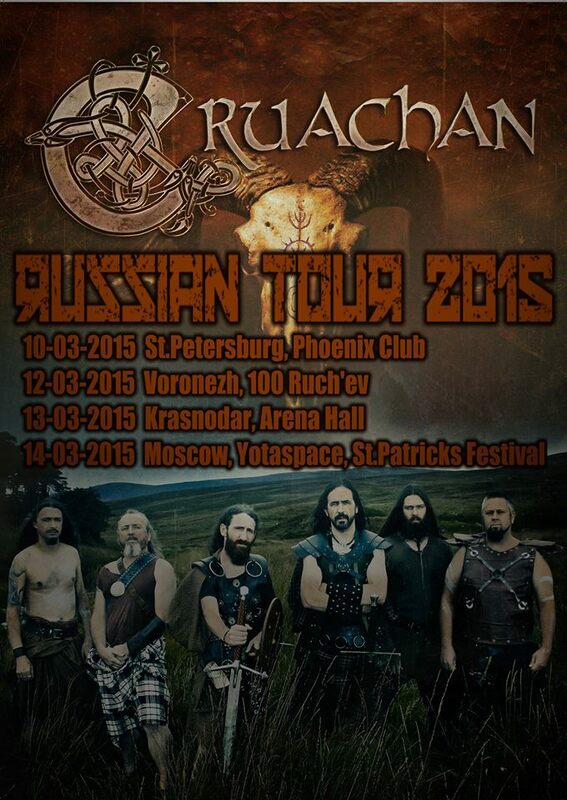 And as further testament to the bands reputation and appeal in other territories outside of Ireland, CRUACHAN will be a playing a number of upcoming European festivals, including ‘Inferno Fest’ in Portugal, ‘Metal Head Meeting’ 2015 in Romania and will also be heading to Russia next week for four shows in St. Petersburg, Voronezh, Krasnodar and Moscow as part of their St. Patrick’s Festival where over 2000 tickets to see the band have already been sold. Check out the music video for ‘Blood For The Blood God’, the title track from CRUACHAN‘s latest album, out now on Trollzorn Records.